Another rumored look at the new iPhone, a whisper of a 13-inch Retina MacBook, and an Apple ad that never saw the light of day. The remainders for Friday, August 10, 2012 are a ragtag band of misfits. A video shows the casing for what looks very much like it might be the next iPhone. The Tech Block’s got a good rundown of what this could actually be, concluding—Occam’s Razor style—that it probably is the casing for the next iPhone. Well, then, I guess Apple doesn’t need to hold a big event or anything announcing it. 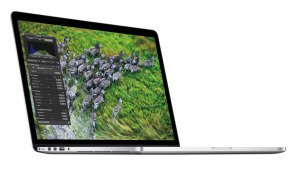 Based on information in the GeekBench benchmarking database, a 13-inch Retina MacBook Pro may be in the offing. This isn’t the first time such a machine has showed up, but this one also claims to be running Mac OS X 10.8.1, which as we all know is a piece of data that would be impossible to fake. Former Apple software engineer Andy Hertzfeld has posted a rare ad for the original Mac that never aired, because the company was concerned that it was “too congratulatory.” In which case it shouldn’t really surprise you that it looks and sounds like pretty much every new Apple product video ever.